Two years ago, as the Sierra snowpack would normally be peaking, Gov. Jerry Brown stood on a barren mountain slope near Lake Tahoe and announced statewide emergency drought measures. Standing in the same spot today, he'd be buried under more than seven feet of snow. "It's a transformed landscape," observed Tom Painter, a snow hydrologist and principal investigator at the NASA Airborne Snow Observatory. 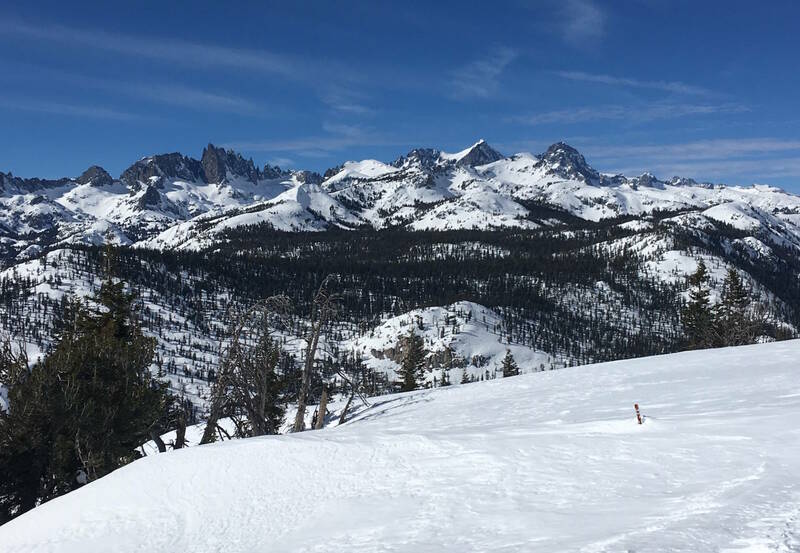 Statewide, the Sierra snowpack, source of about a third of California's water, stands at 173 percent of the long-term average for early February. In fact, it's already more than 100 percent of the average for Apr. 1, when the snowpack usually tops out for the year. In other words, there's essentially an entire winter's worth of snow already on the ground. Even more impressive, though, is how much of it fell during just two prolonged "atmospheric river" storms in January. 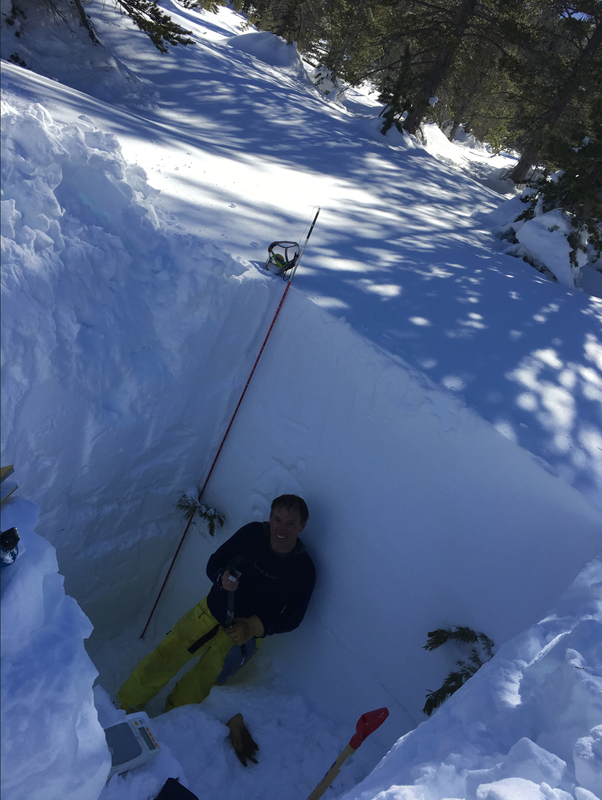 "It's unbelievable how much water fell out of the sky during that period of 'snow-pocalypse,'" said Painter, who was digging into the snow 10,000 feet up Mammoth Mountain this week, to take measurements that will provide more accurate runoff predictions. Painter told KQED that the volume of water that fell on the Sierra from multi-day storms that began on Jan. 7 and 18, respectively, was 25 percent more than the average annual flow of the Colorado River. Painter's colleague, Noah Molotch was a bit more understated. "Impressive," is how Molotch describes it. He and Painter co-authored a study suggesting that January's snows by themselves might have erased as much as 37 percent of the snow-water deficit accrued over more than five years of California drought. "It is a fairly astounding quantity when you think about it," says Molotch, a snow hydrologist at the University of Colorado, "but it still is only about a third of the total snow-water deficit that we experienced during the drought." The major remaining concern is the state's groundwater supply. The enormous draw-down of California's aquifers during the recent dry years -- especially in the Central Valley -- is one reason that state officials have been hesitant to declare an official end to the drought. Molotch says recharging that vast underground reservoir will take time. "This is a big part of why one or even two big snow years is not going to make up for the long-term water deficit that has resulted from the very intense groundwater pumping that has occurred during the drought." The ever-buoyant Painter pointed to a bonus: the high-elevation snow remains extremely cold, which means it's likely to stay in place longer into the spring. That will produce a gradual, measured runoff that should keep rivers and reservoirs at healthy levels, and keep hydroelectric plants humming well into the dry season. Despite this year's eye-popping snowpack, scientists still expect California's "frozen reservoir" to decline in coming decades, as temperatures rise and precipitation patterns shift with the changing climate.